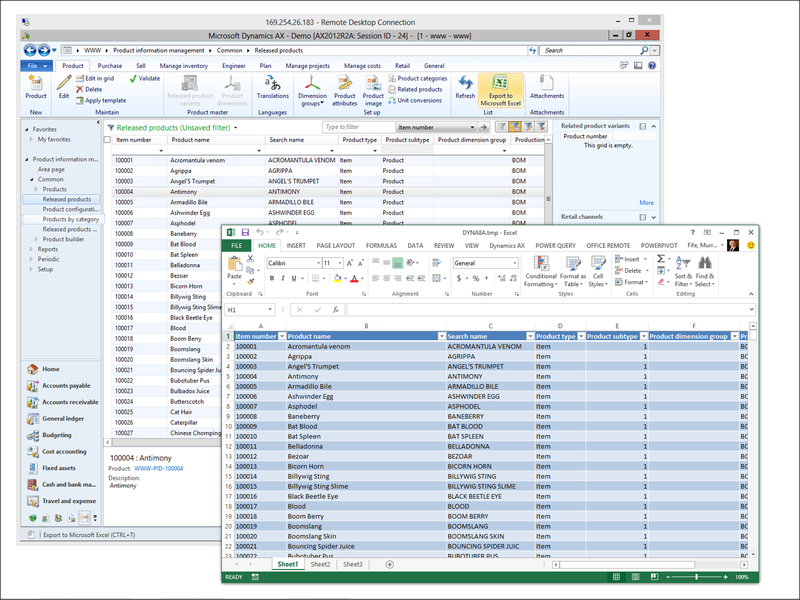 From the Files menu select the Tools submenu, and then the Options menu item. 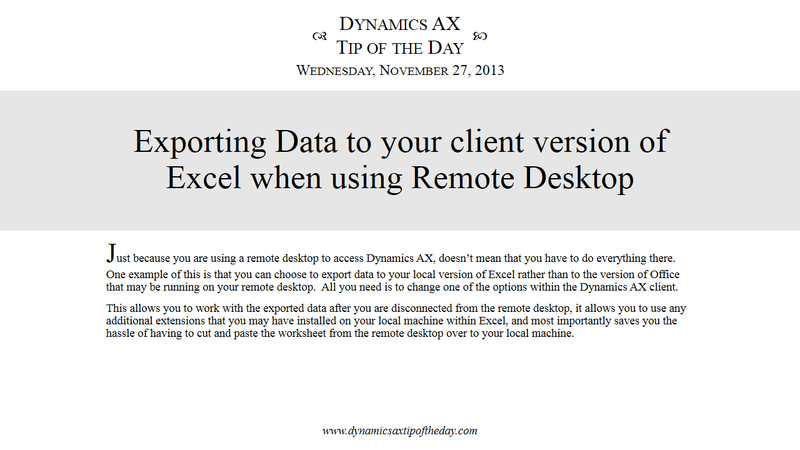 When the Options dialog box is displayed, scroll down to the Miscellaneous section, and change the Remote Desktop session export to option to Client Excel. 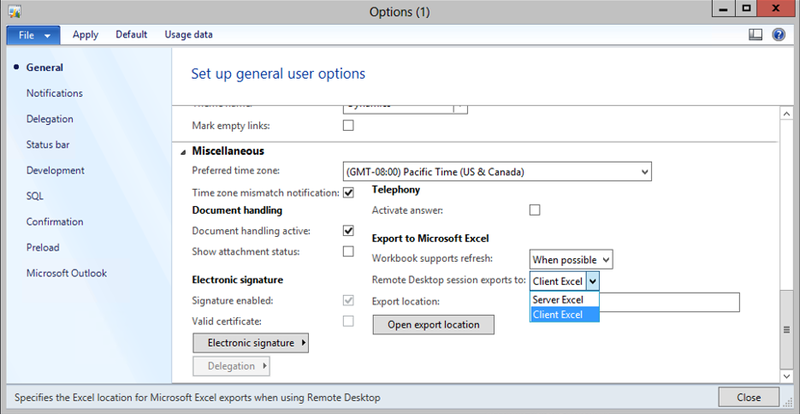 Now when you click the Export to Microsoft Excel it will send all of your data to the client version of Excel. 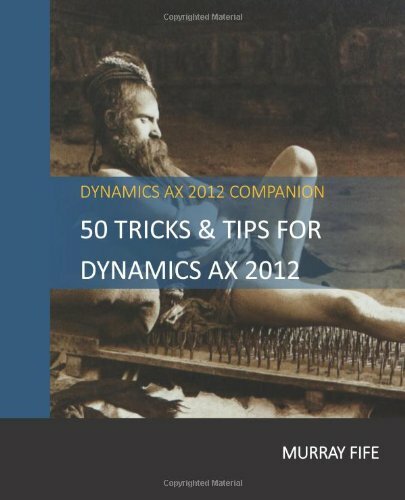 Note: Make sure that the user that you are using on the client desktop has the login information for Dynamics AX and also security to access the data, because the security policies that are in effect on the client are associated with that user login… This also ensures that people are not sidestepping the security policies by doing this.